In the present time there are different innovation & revolution around, the world. Because in the law of Magnetism and Expression in the universe repeat in time. Therefore the ancient sciences are appearing on his scene and the environment is being got rid of impurities. In this context there is political revolution, which has ejected the dominance of crude corrupt dictator. There is climacteric revolution, the Tsunami, tornados, floods earth quake, violent forest fire that have washed away the pride of over confident government. There are revolution in consciousness that spiritual of world as whole is recognizing the roll of colors, vibration, and light to attain health and peace. There are spiritual innovations like sun gazing, breathing, and pyramid- stoopnic, vertex sciences to uplift the consciousness of masses. Since, Jain methodology is one of the leading from the very beginning to guide the mankind to paragon pleasures, it is therefore once again the myth have taken lead by introducing bona fide tenet practiced by Jain Arihanta, Sidha, and million – million spirituals in the past. It is to highlight that, this process of innovation & revolution around, the world it is an ntural process that happen in the guide line of synchronicity. The Synchronicities ‘Law of Magnetism and Expression’ are patterns of the universe that repeat in time. The word ‘synchronicity’ references the gears or wheels of time, which rotate entirety. One can only record synchronicities as they occur and watch the patterns of behavior that create them. 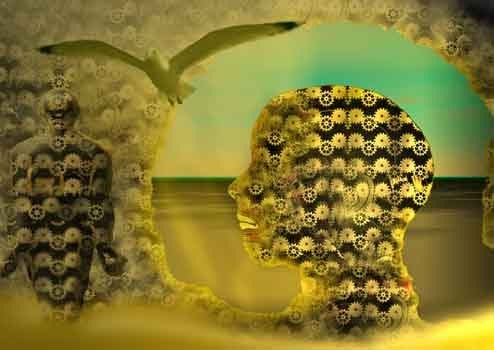 The concept of synchronicity is linked to metaphysics, yet physics and metaphysics are merging, thus showing their interconnection and how we manifest synchronicities in our lives. Synchronicities are people, places or events that your soul attracts into your life to help you evolve to higher consciousness or to place emphasis on something going on in your life. The more ‘consciously aware’ you become of how your soul manifests, the higher your frequency becomes and the faster you manifest positively. Each day your life encounters meaningful coincidences, synchronicities that you have attracted, on other words created in the grid of your experiences in the physical. Souls create synchronicities, played out in the physical. It is why you are here. It is how our reality works. Synchronicities are patterns that repeat in time. The word ‘synchronicity’ references the gears or wheels of time, though the actual concept of synchronicity cannot be scientifically proven. One can only record synchronicities as they occur and watch the patterns of behavior that create them. The concept of synchronicity is currently linked more to metaphysics, yet physics (quantum physics) and metaphysics are merging, thus showing their interconnection and how we manifest synchronicities in our lives. In the present time in the influence of ‘synchronicity’ the innovative spirituals concluded that in the ancient time,24 Tirthankars and millions – millions Sadhu Sadhvi, Shrwak those succeed to proceed Mokshya had been meditating in Nirvana chhetras Siddh chhetras i.e. on the top Mountain, near the banks of Rivers or jungles of big trees alike Peepal & Ashok These spiritual also explored that in the past when those great character attained the super bliss , there were neither temples,, Pritma, , musical prayers nor Argha for offering. The – Sadhvi, seers & saints use to contemplate/ meditate for months, years together without any materialistic support, i.e. without food, clothing and shelters In this period they live like fauna & flora ‘vegetation ‘plant & trees’ and consume energy of the sun.. They enjoy the life like flora & trees that flares up colors of joy and pleasures and get loaded with flowers & fruits. It was common practice in the past that every man irrespective of rank use to consume sun energy to make their body mind and spirit enlighten. Accordingly, every body enjoyed happy healthy life and was entitled for Swargy Lok on his death. It is matter of great concern that the said position has reversed, in the present time every man on the death is though called as Swagwasi, but the fact remain that the said spirit to get Swarg has abandoned… Now most of the man disperses from the world in the state of pain & sorrows, suffering with fatal disease. It is to high light that dispersal in the state of pain & Sorrow is the sure way to rotate infinite circle of birth and death get infinite pain & sorrows, in the terms of ANT MATA SO GATA. 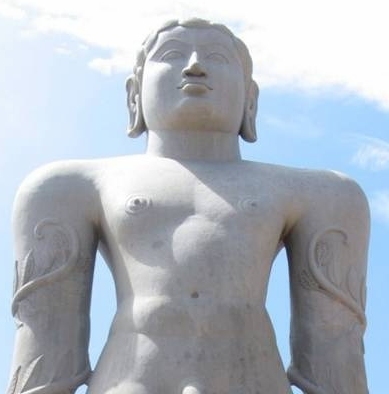 Bhagawan Mahaveer was the last Thirthankar of this Jain era. 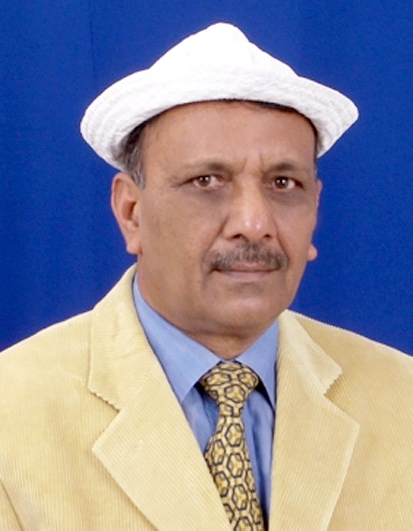 That super intlect visualized through Avdhi Gyan that during the course of Pancham- Kaal there will not be Thirthankar on the earth to guide the masses true path of paragon pleasures.The spiritualism will be dominated by different sciences alike mechanical & electrical & physical sciences These sciences will support the mankind to lead luxurious happy life. The law of equilibrium will prevail all over entirety. The original tenets that offer the man real happiness will disappear in darkness ignorance and misapprehension of monetary gains. The prediction of Lord Mahaveera proved to be very true. There is not any Tirthanker on the earth for the last 2500 on the earth to guide the path of paragon pleasures. Each & every activity of human life that includes spirituality is attributing/ involved monitorial transactions. The very basic concept of DEVDARSHAN. That offer the man healthy living and energy to get salvation is missing from the elite life. It is matter of record that there are not any symptom of perfect health and happiness in the constitution practicing spirituality. It is to high light that symptom of perfect real health has been best illustrated by Mahrishi Patanjali “please read our article. Symptom of perfect health’ There is lot of misunderstanding, ignorance, practices being followed by the masses for instance. In the present time in the influence of time ‘Kall’ the spirituality has lost its track that knead the path of liberation. The best details the same has been illustrated in SURYA PERKASH GRANTHA published by Veetragi Vani Trust the shalok No 257. That means, During the Pancham kaal so many voracious, greedy, wanting, having shattered interest ‘so called PUNDIT’ will spoil the original science / tenets/ knowledge of Jain Methodology. In this context it is to note that prevailing Pooja & prayers have total influence of materiality. The same can be observed with following wordings of Jain Nitya- Niyam Pooja prayee every day with great enthuses. It is to appreciate that, certainly all these offering and blessing are superb & pious but it is to examine whether divinity is a commodity for exchange. It is note that the spirituals that attained divinity ‘paragon pleasure ‘Mokshya’ adhered the guide line of TAPA –JAPA along with seven Sudhies. The Seven- sudhies are the base to materialize the contemplation. Thus true spirit of getting liberation that rest with the doctrine of Jap – Tap along with seven sudhies as practiced all seers attaining Mokshya. It is matter of concern the the said spirit is missing from present worshipping. That mean: Follow the man who has opted the path of liberation in this plea the. man must have scarified every materiality, conquered sensory organism, and attained perfect knowledge, austerity , sincerity, dedication and compassionate. In addition such man should be generous, benevolent enough to guide the path of paragon pleasure without any discrimination that too without any consideration. .Swetambra’ sthankvasi recognize such person as Guru and follow him. No doubt it is true spirit but here it is pertinent to mention that this spirit also differs from the original tenet that practiced by Arhants and Siddhas to attain the paragon pleasures.